Brachioplasty, sometimes known as an arm lift, is a surgical procedure that corrects and tightens loose droopy tissue in the upper arms. Usually caused by fluctuations in weight, aging, or heredity, the condition is resistant to correction through exercise. Arm lift surgery can tighten and smooth the underlying supportive tissue and reduce excess sagging skin. Before surgery, Dr. Potyondy will administer intravenous sedation or general anesthesia based on consultations with you. Depending on your particular surgery, Dr. Potyondy will place Incisions on the inside of the arm or on the back of the arm. The incisions may extend from the underarm to just above the elbow. Using internal sutures, Dr. Potyondy will tighten and reshape the underlying supportive tissue and smooth your skin over the new contour of your arm. During the brachioplasty procedure, excess fat may be directly removed or treated in a follow-up liposuction session. Results will be apparent immediately following surgery, though initial results may be partially obscured by bruising and swelling. After these heal, a scar will remain where the incision was made. 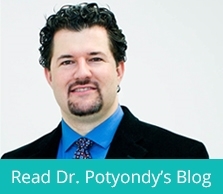 Results will be long lasting, and Dr. Potyondy recommends that you maintain a healthy weight.